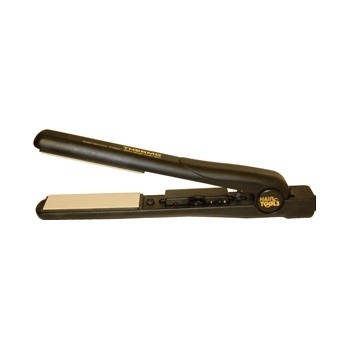 The Thermo Ceramic Straightener features a variable temperature control, to suit all hair types from coarse and Afro to fine and fragile hair. The ceramic plates protect the hair using infra-red heat, by penetrating the hair and heating from the inside-out. The plates lock in moisture and natural oils creating a sleek, polished effect with added shine.